Oemine P.S.O. Moisturizer Milk 200ml – Oemine P.S.O. Moisturizing body milk for very dry and scaly skin. 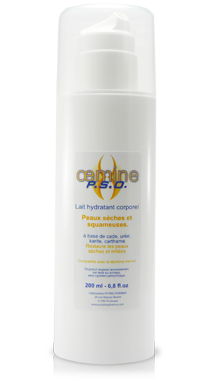 MOISTURIZER OEMINE P.S.O., based on cade, urea, Shea butter and safflower, is especially conceived for dry and scaly skin. It has a soft and pleasant texture thanks to safflower oil while Shea butter and urea help restore your skin. Cade essential oil calms your skin. Unlike many moisturizers, MOISTURIZER OEMINE P.S.O. is recommended to hydrate problem skin. aqua, carthamus tinctorius olea, cera alba, natural tocophérol, polyglyceryl-6-distearate, glycerin, natural perfume, xanthan gum, potassium sorbate, sorbic acid, citric acid, geraniol*, farnesol*, linalool*, benzyl benzoate, limonene*.